Kashon Harrison is very aware of the success he had in cross country in 2017. But the Kirtland Central High School senior, who opens the season at No. 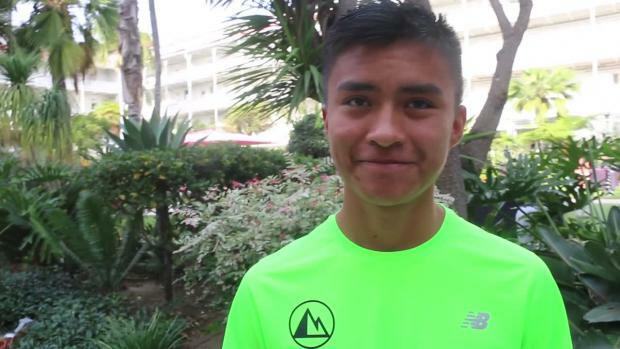 23 on the preseason MileSplit50, isn't worrying about the past. In fact, one of New Mexico's best is only looking toward what he can do this fall to one-up that spectacular junior season. Last year he became the second member of his family to win a state title in the state, following in the footsteps of his father. But if he's being honest with himself, Harrison believes there's one more thing he'd like to do before he finishes out his high school career. Will Harrison get his national title? Time will tell, but read on to learn more about Harrison's thoughts on last season, his hopes for 2018, and what kind of legacy he may be able to leave behind in New Mexico. Last year was a huge leap for you in cross country. 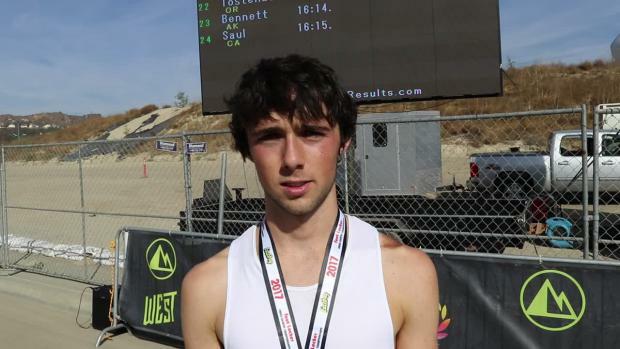 You won your first state championship in New Mexico, and qualified for the Foot Locker Championships, finishing 14th. When you look at what you accomplished as a junior, was any of it surprising to you, and how would you describe that experience? It was surprising to me to qualify for Foot Locker Nationals because it was such an experience to be one of the top athletes (in the country) and to be part of that team. For state, I knew it wasn't going to be hard, so I just kind of held myself back because I was focused on the Nike Southwest Regional and the Foot Locker Regional, but it felt great to be a state champ. I spoke with you last fall and we learned that you became the second in your family to win a state title at Kirtland Central. 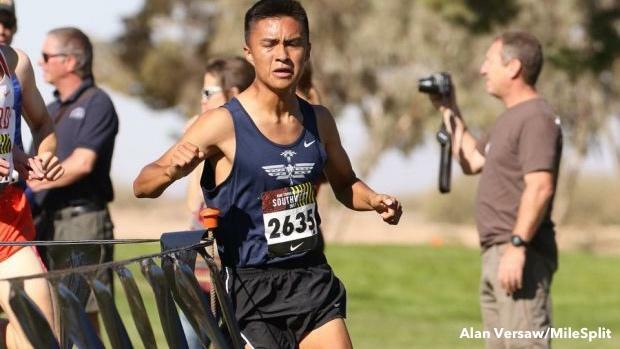 What gave your father more pride, winning state or qualifying for Foot Locker Nationals, and why? With my dad it was a big surprise for him, too. But what he wants is for me to be the top athlete (ever from Kirtland). He's been there with me since I started running back in the seventh grade. That's when he knew there was something special, and it was going to happen when I got to high school. In your eyes, what was your most important race last season? Compare that to this year. Looking at your schedule, what's your most important race as a senior? 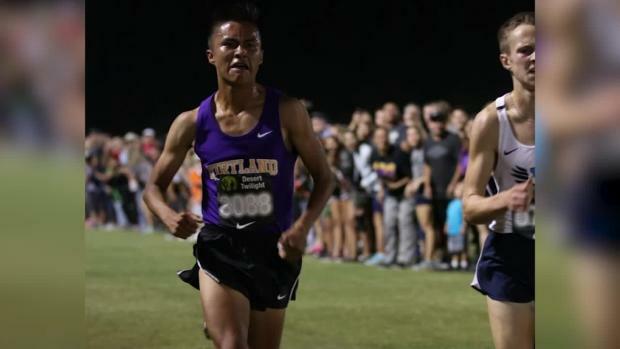 The most important race last season was Desert Twilight (in Arizona) because I wanted to race against the people who were ranked near the top of that region and get a better time. The race before that was important, too, because we had to place first in order to even get entered into the Sweepstakes race. The same goes for this year, because we are trying to work as a team to make it to the Sweepstakes race again. 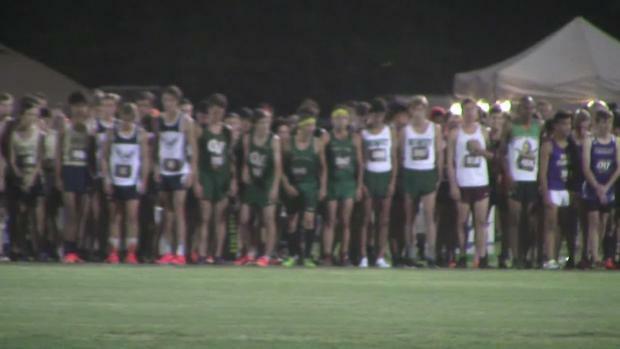 After that, it would be the Nike Southwest Regional and Foot Locker Regional again. Breaking 15 minutes at the Desert Twilight XC Festival was a big accomplishment. Fast course, fast time. You also took the win. Do you remember what the pace of that race felt like - were you just going with it, or were you just trying to hold on? The race at Twilight was a fast course. But the reason we were there was to see how we could do as a team and all of us were trying to get a faster time. During the race I was going with it and I wanted to see who would go out or whether I would have to go out by myself. The pace was fast and it felt like it was comfortable. I didn't have a feeling that I was tired at the end; I was just happy. The spring track season rolled around and you ran some very good races, earning PRs in the 1600m and 3200m, and winning state titles in both of those races. What performance were you most happy about? The performance I was happy with came about three weeks before state. 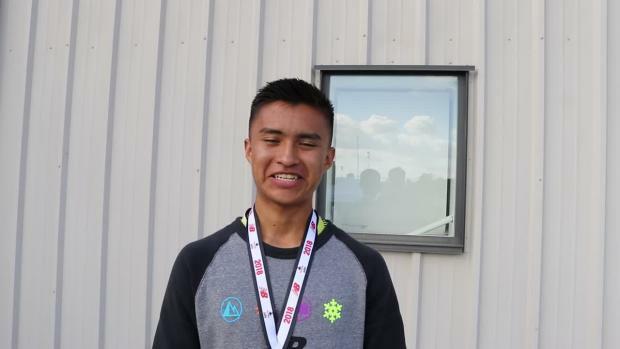 I was injured around my right calve area and during those three weeks I was resting and just working on my body, believing that I could get a state title in both the 1600m and 3200m. I ended up doing that, but my 1600m performance is what I was happy about most because I PRed by two seconds. Are you at a point where you need to test yourself more? 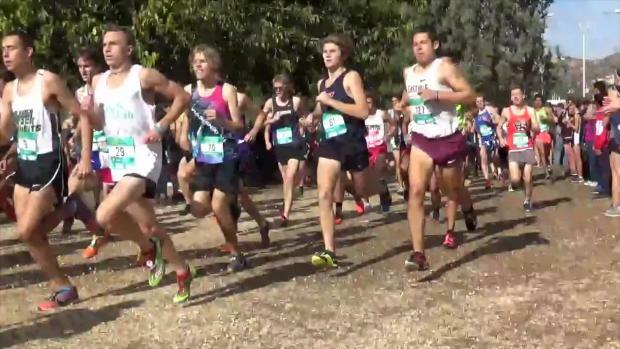 The only races you didn't win last year were NXR Southwest (8th) and Foot Locker Nationals. Are you going to have the opportunity to race any major races before your postseason? Yes. I'm at that point where I need to test myself more because I believe that most runners need this to be considered among the top runners in the country. As far as other races, no. I'm helping my school team to make it to state so we can go as far as we can as a team, and after state is Nike, so I won't have time to do any other races other than Nike and Foot Locker. Can you describe how your training went this offseason? How ready do you feel at this point, and do you feel like you're ahead of where you were even a year ago? My training wasn't that much different this offseason because I was resting when school ended, but I got back into running around July and I started off from there. But here and there I will do long runs to get those miles in. I feel a little stronger than last year, but I still have the motivation to go out and lead from the start. I feel like I'm ahead, but I'm still kind of keeping it the same but doing different workouts during the week. What are some major goals you want to accomplish this fall? One of my major goals for this fall is simple: I want to go undefeated and be a better runner than I was last year. What did you learn from racing at NXR Southwest and Foot Locker Regions and FL Nationals a year ago that you'll use on course this year? I learned about racing. I think my plan last year mostly worked out, but at some points I would get tired. So I've learned when to go out and when to take off (make a move). What's recruiting been like for you thus far? Have you started looking at any colleges, and what particular things are you looking for in a school? The recruiting process has been good so far. I've been getting calls from D1 schools. One of the most important things I'm looking for is whether a school has my major and what kind of team the school has, and if they'll get me the right training to be a great runner. Do you anticipate staying out west and training in elevation as you do now, or have you looked into potentially running at sea level, or on the east coast? I would actually say I'd like to stay out west because of the elevation. It's one of the keys to building those red blood cells and feeling good going down sea level to race better. This is a basic question, but it's a good one. What kind of impact has cross country had in your life, and why? Cross country has had such a huge impact on my life. I've had to wake up at 6 a.m. to run and I've had to be be prepared for anything that's come my way. It's taught me how to handle feelings of nervousness on race day. What I've learned from running is that whatever happens in your life, you have to be prepared to take a hit and do you know how to handle it when that happens? When life gets you down, will you know how to get back up.